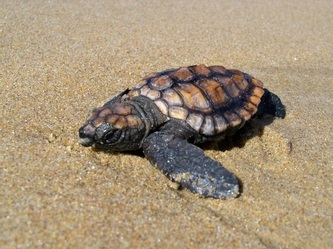 Wondering what to do on a lazy day off? 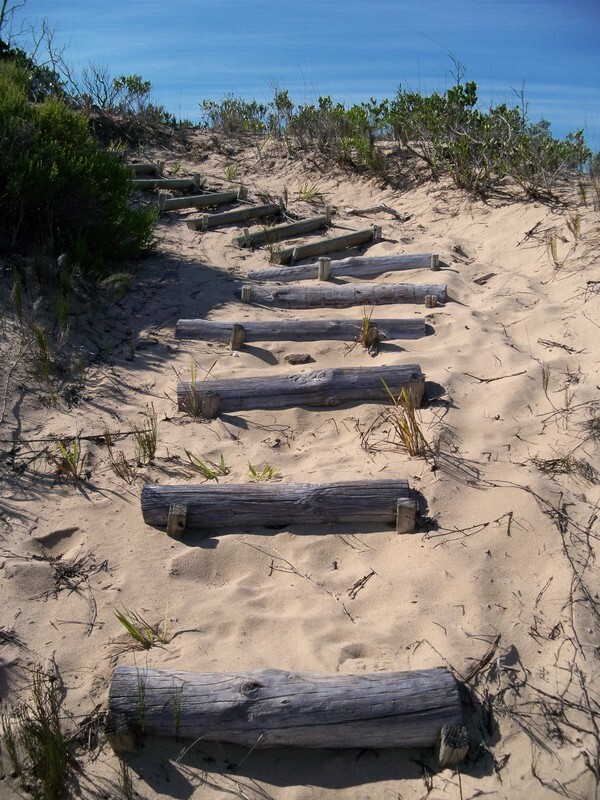 Well then go wandering! 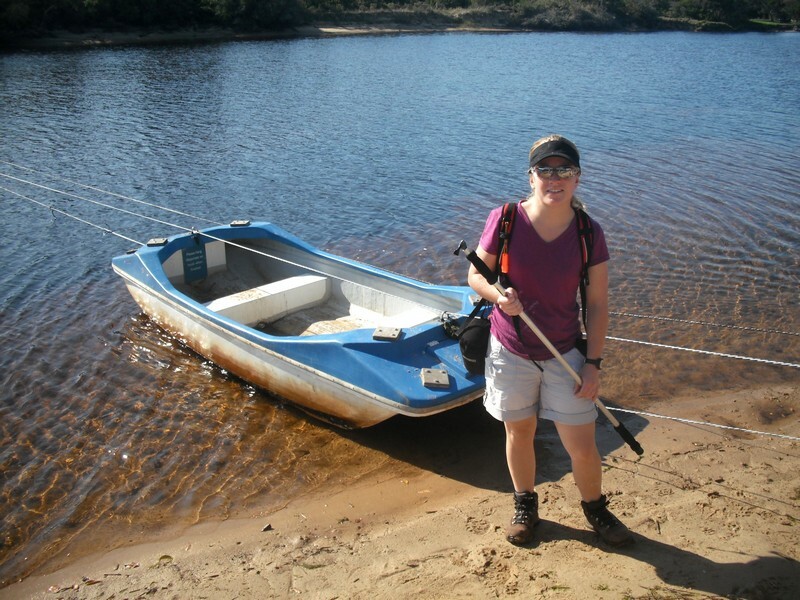 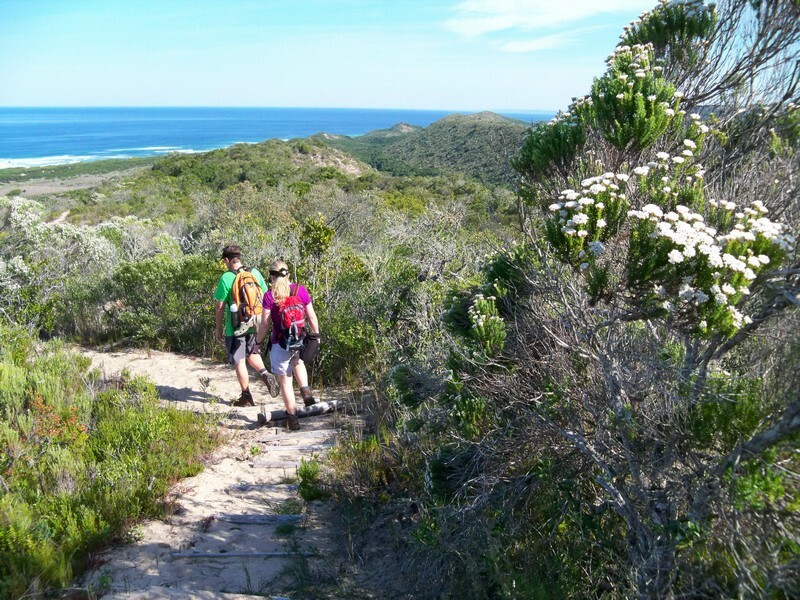 Doing the 6.5km Bushpig Trail in the Goukamma Nature Reserve is the perfect getaway for the day. 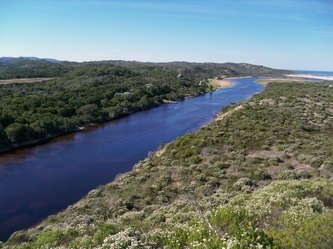 The entrance to this section of the reserve is on the Buffalo Bay road off the N2, you can also obtain your permit from here. 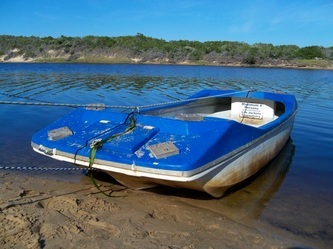 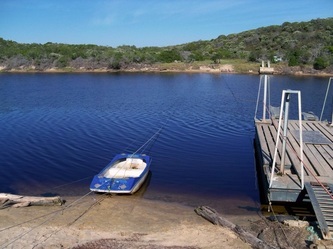 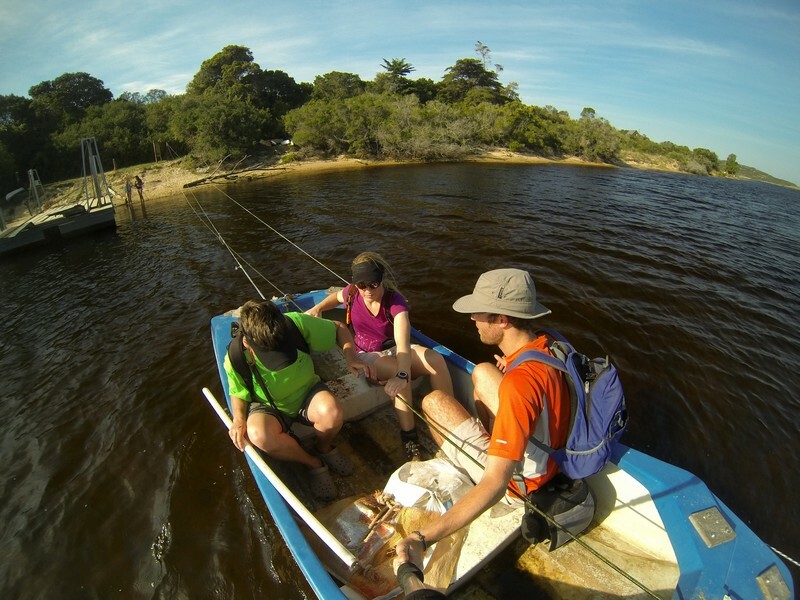 This route is suitable for children of approximately 12 years of age or older and starts with a fun-filled ferry crossing of the Goukamma River. 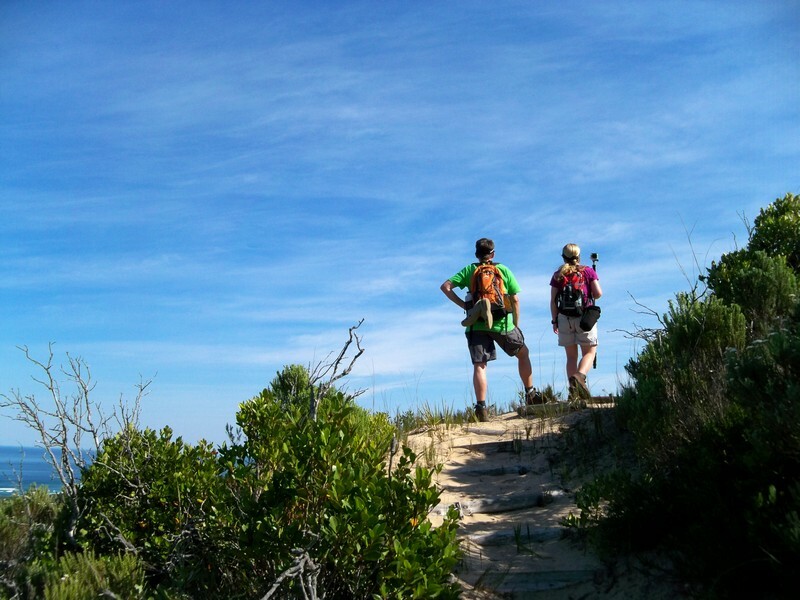 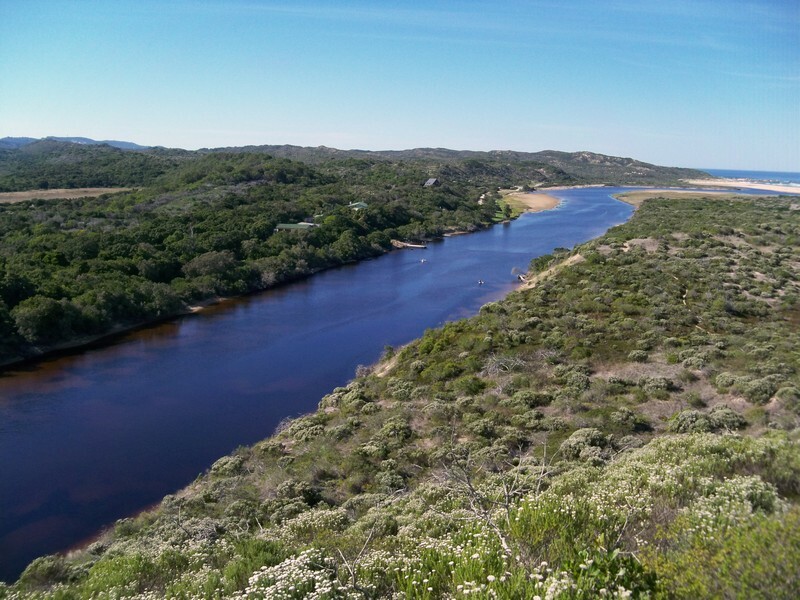 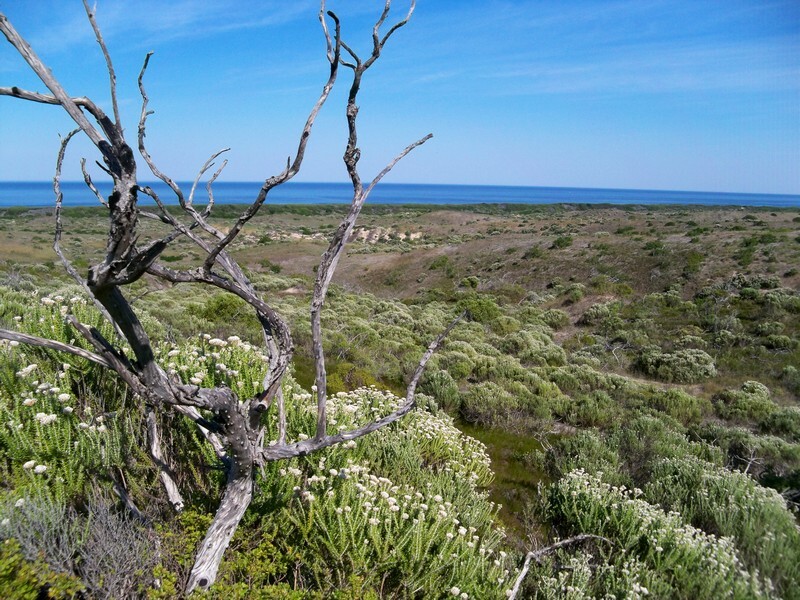 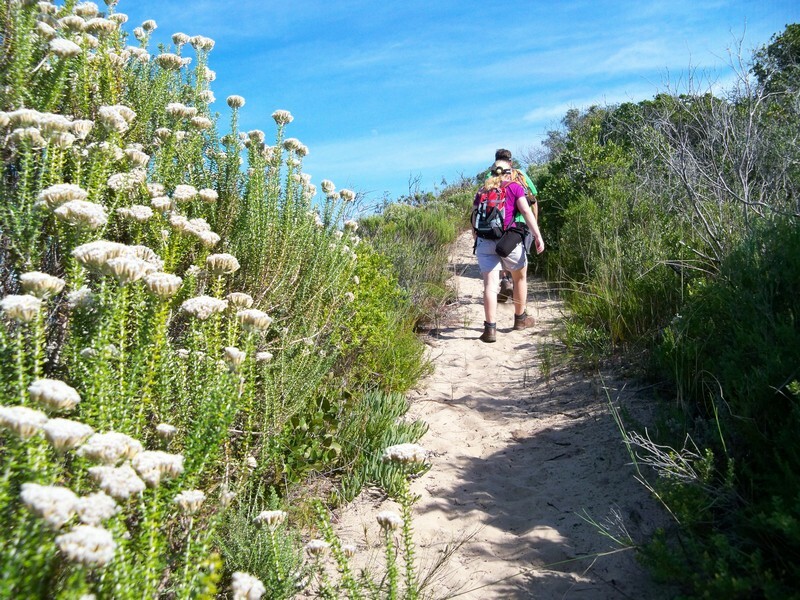 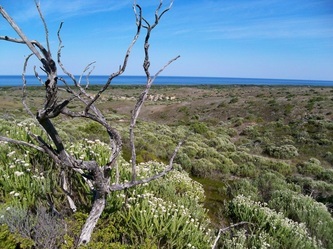 The circular route takes two to three hours and hikers walk a fynbos ridge with views of the coast, river and estuary, returning via a milkwood forest.Hikers can also make use of the picnic table near the beach to have a snack and rest. 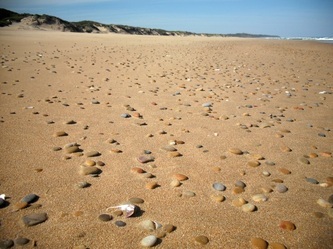 Alternatively opt for returning via the beach. 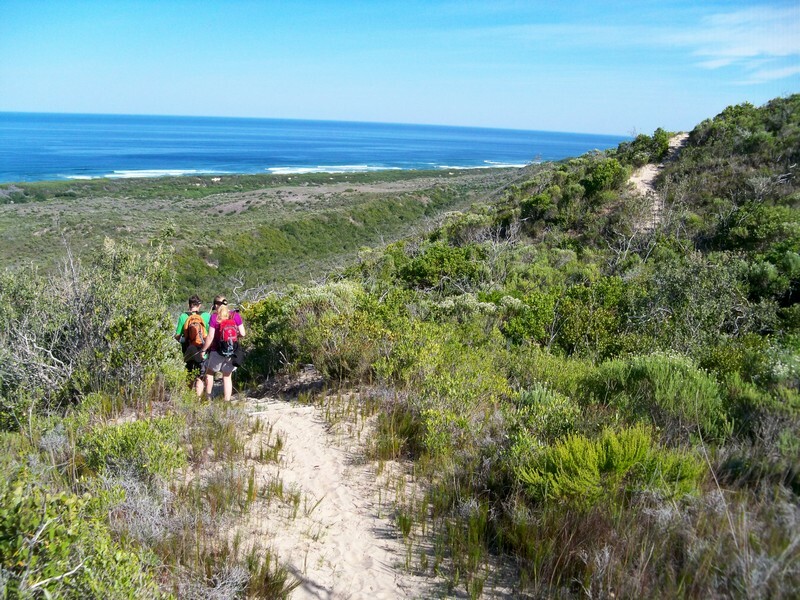 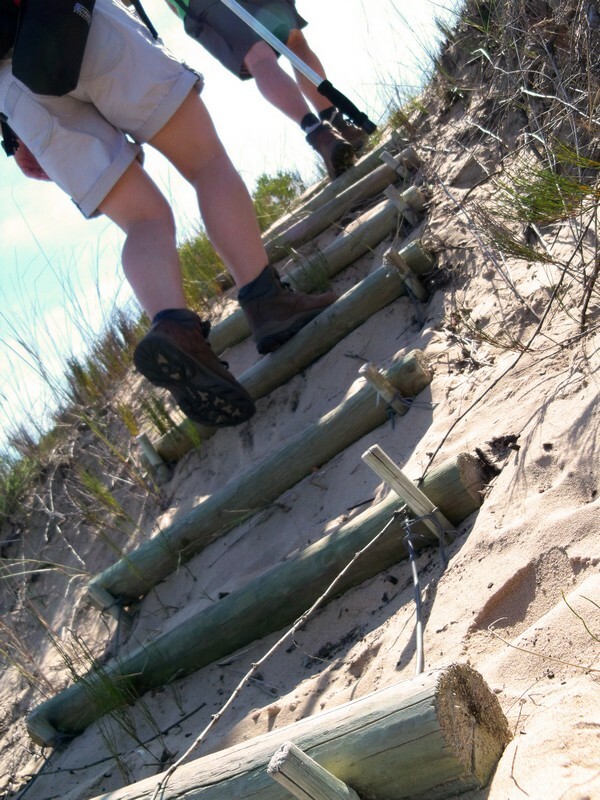 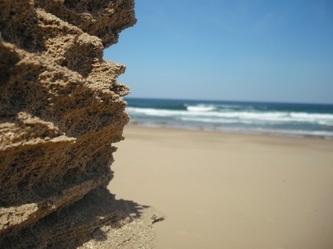 Be on the lookout for the 'Goukamma' sign from the beach to join up with the trail again. 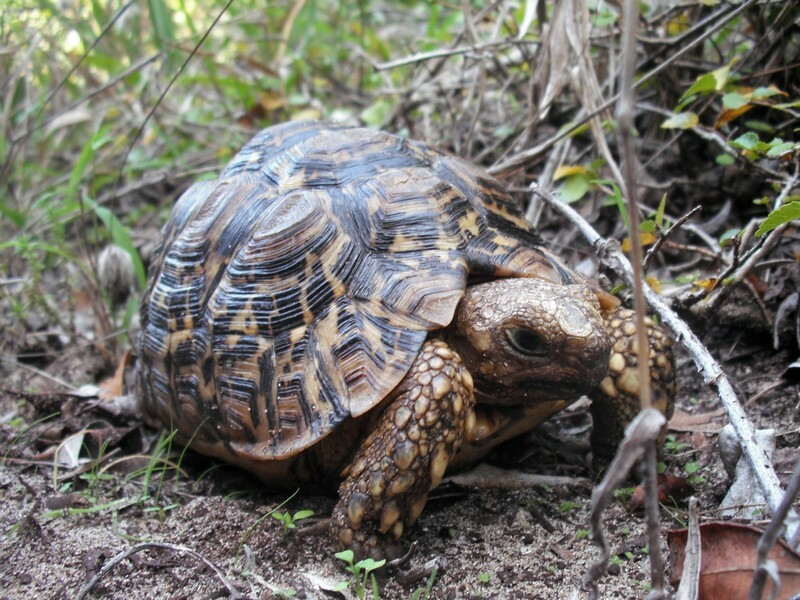 Don't be in a hurry. 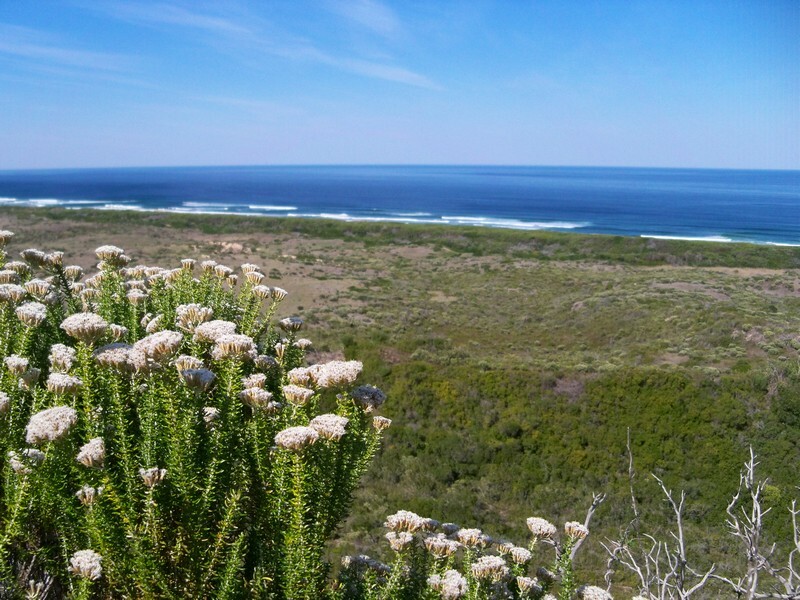 Check out the fynbos which grows on this extensive dune field. 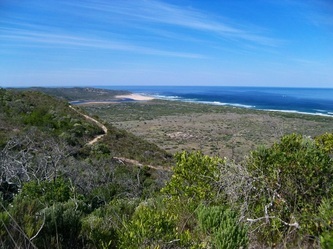 These are some of the highest vegetated dunes in South Africa. 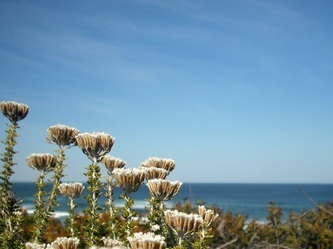 If you are hiking in Autumn, smell the Buchu flowers' scent as it wafts on the wind. At other times of the year there are a myriad of flowering plants to marvel at, especially during September and October. 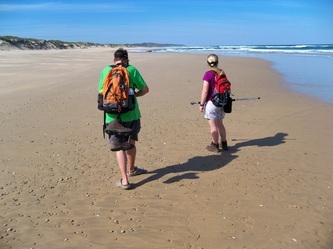 Encourage the children to see if they can spot dolphins frolicking in the surf. 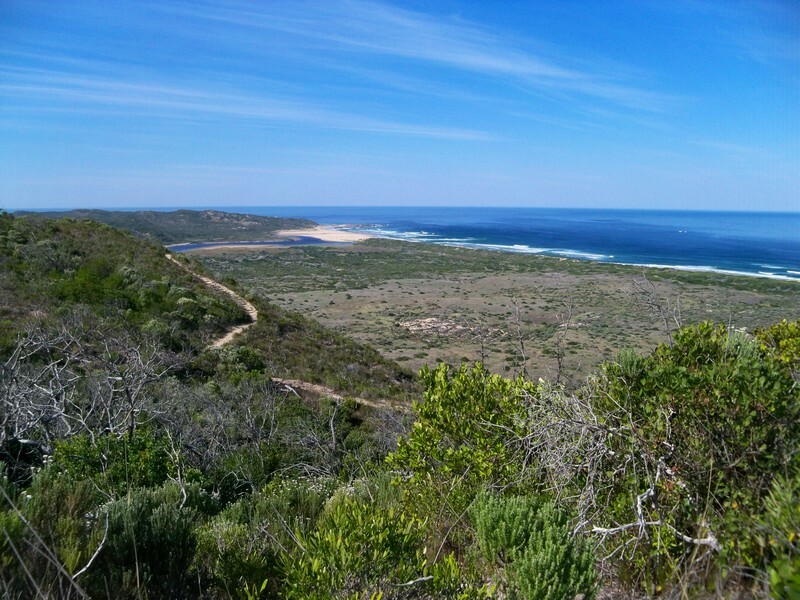 From July to December Southern right whales can be seen close to the shore. 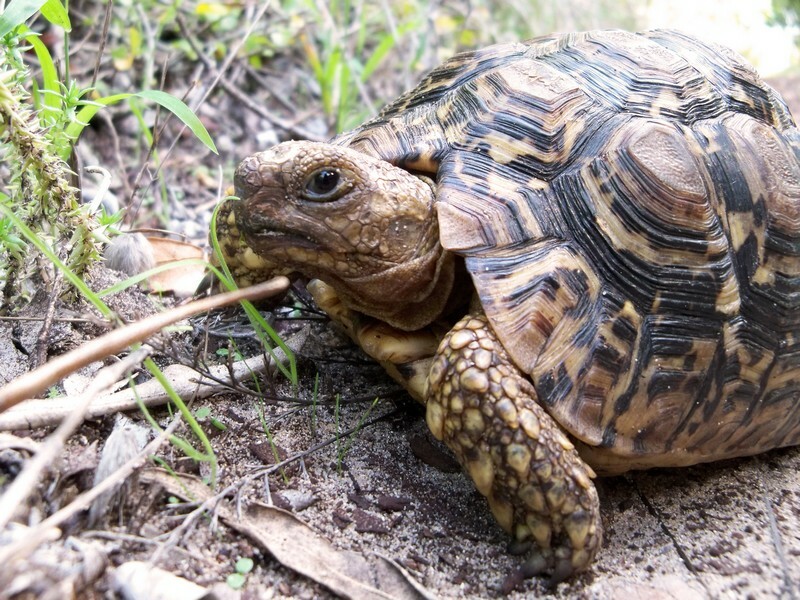 Other animals include grysbok, bushbuck, buspig, monkeys, caracal and otters. Don't forget about the birds. 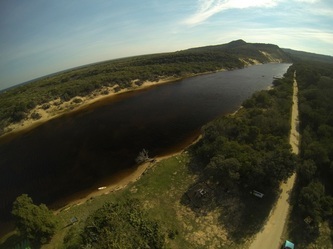 Listen for the distinctive cry of the African fish eagle or the excited chatter of the black oystercatchers on the beach. Not much can compare to the sight of a Knysna Turaco in flight as they silently glide from tree to tree. 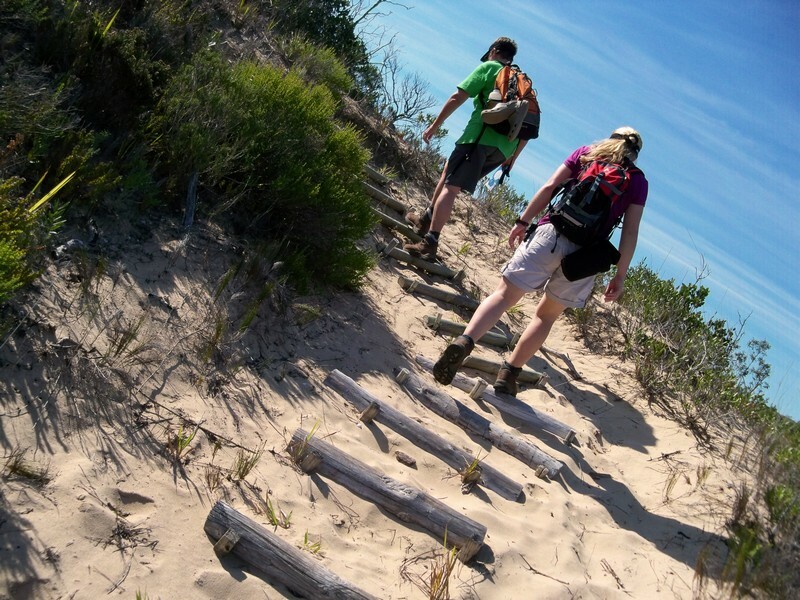 It is advised that you take at least two litres of water (or other fluid) per person with you on the hike, as it can become extremely hot between the dunes. 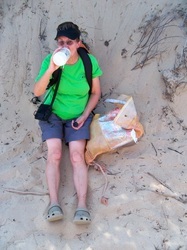 Wear a hat and proper shoes and don't forget sunblock. 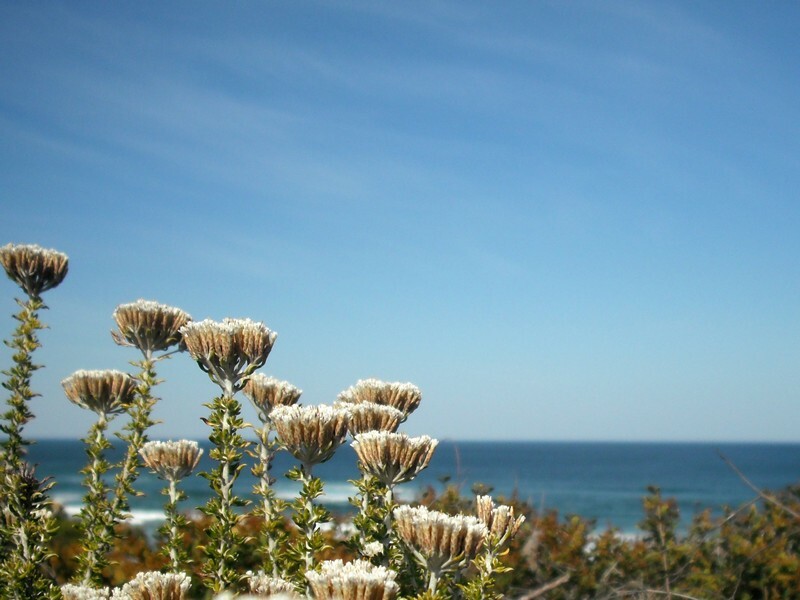 Please don't litter and don't discard cigarette butts - they can cause veld fires in no time. It's also a good idea to take used shopping bags and do your bit for conservation by picking up rubbish if you choose to return via the beach. 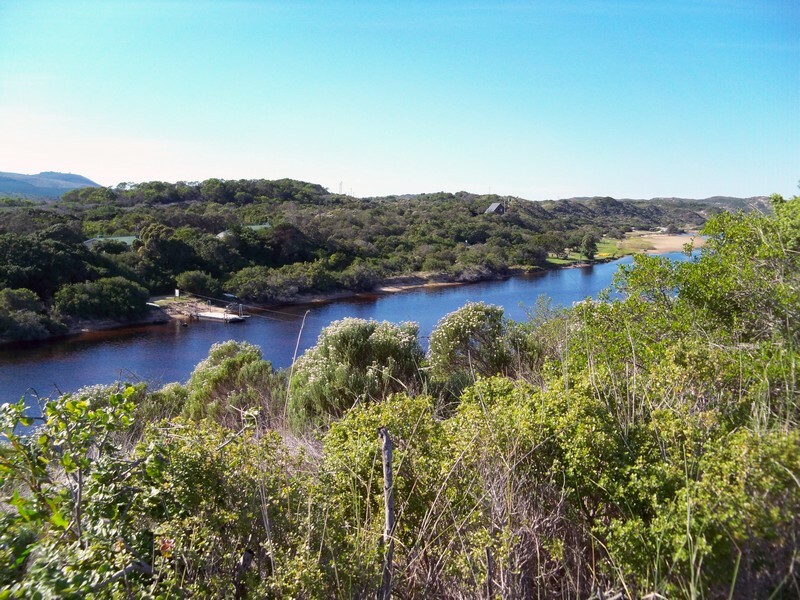 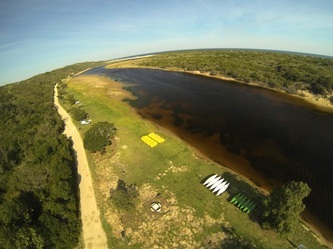 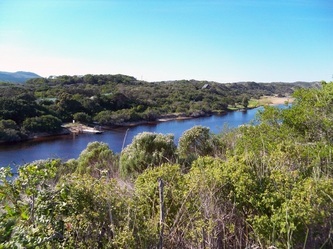 Permits & Costs: Entrance located at the Goukamma river on the buffalo Bay side. 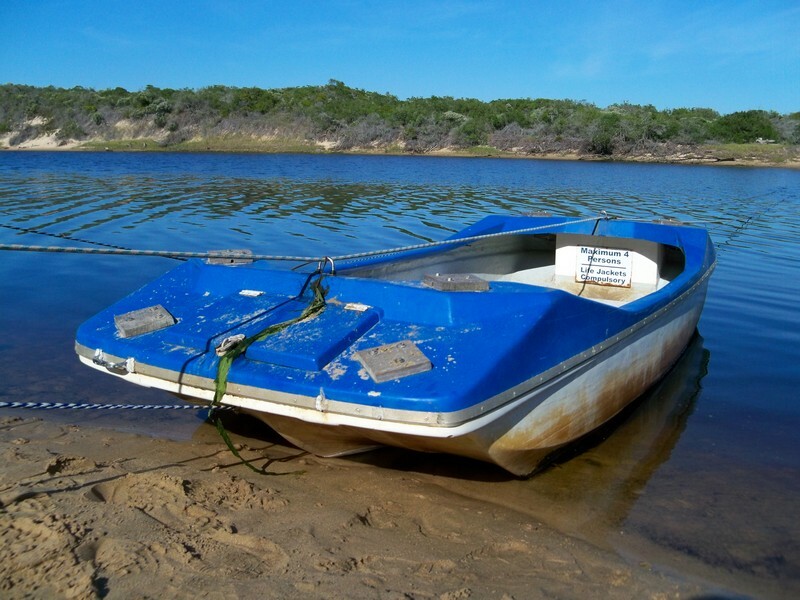 Entrance fee payable at the gate.